Free Boiler Scams – Is It Real? Here at Get Free Boilers, we hear lots of people voicing their concerns about the free boiler scheme. There is a common saying, if it sounds too good to be true, then it usually is. Well, the free boiler scheme is true. It is not a boiler scam. Free boilers and home insulation have been free for a number years, they just tend to go by different names. Previously the the ECO Boiler Replacement Scheme, we had something called the Boiler Scrappage Scheme. Prior to this, we had something called Warm Front. There has always been funding available from the Governments for home improvements, but understandably, especially with all of the cold calling going around, you can’t help but understand peoples concerns about the free boiler scheme. To confirm, the scheme is not a scam. The Free Boiler Scheme, Not The Free Boiler Scam. The free boiler scheme is part of the Governments ECO Scheme. The ECO was introduced in January 2013 to reduce the UK’s energy consumption and support people living in fuel poverty. It does this by funding energy efficiency improvements worth around £1.3 billion every year. That’s taken from the Governments website which has some great information about the free boiler scheme and why it has been put in to action. You can learn more here. If It’s Not A Scam, Who Pays For It? 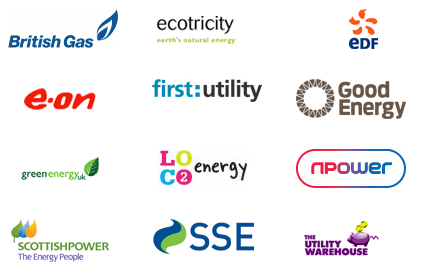 The ECO (Energy Company Obligation), is an order set by the Government which states that the Energy Suppliers must use money generated from householders bills to fund improvements such as free replacement boilers. The funding which backs the replacement boilers, is a grant. You do not have to re-pay the money back at any point. If you look at one of your gas bills, you’ll notice that a small portion of the money cover ‘Green’ measures. This money has been built up, and is now being distributed to households who are at risk of fuel poverty. You can claim for free boilers and home insulation. Want to know if you qualify for a free boiler? Free Boiler Application. The free boiler scheme, is not a scam. All looking good so far! Is this free boiler scheme really not a scam?! This is great, thanks. My daughter gets tax credits so I will tell her about the grants! This is not a scam, I got my boiler installed for free! The free boiler scheme is not a scam but if you are getting unsolicited, automated phone calls saying that you definitely qualify for a free boiler, then those behind the calls are almost certainly operating a scam. Do not respond to such calls or you are likely to end up out of pocket. 1 Pings/Trackbacks for "Free Boiler Scams"
It’s not a scam. I claimed my free boiler last week!